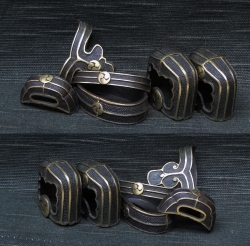 Handachi set includes Fuchi, Kashira, Koiguchi, Kurikata, Kashiwaba Kojiri. 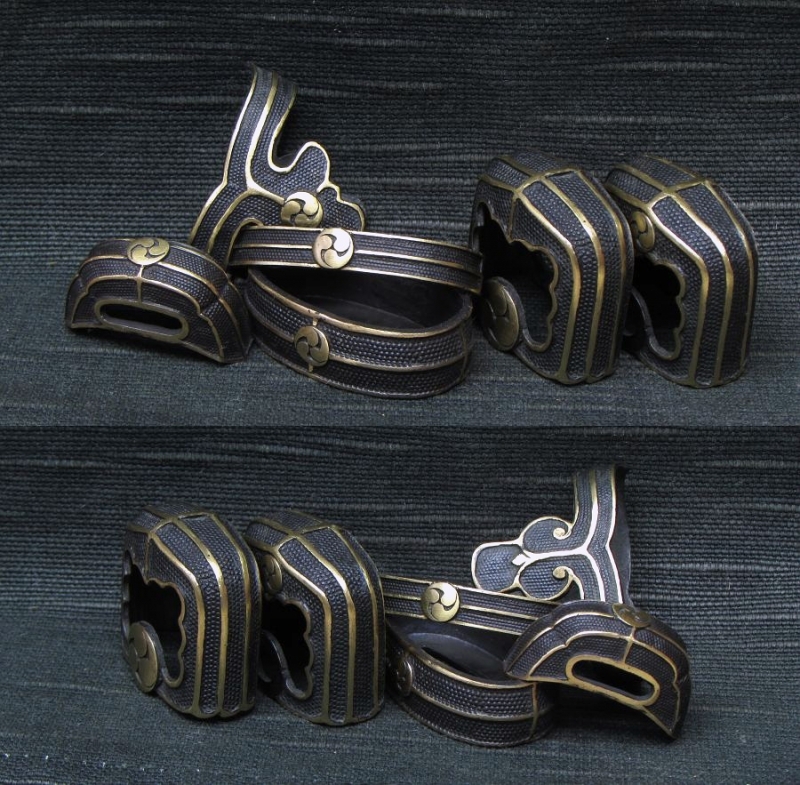 Desgin is Nanakoji Ichimonji Kabuto Mitsudomoe Kamon. 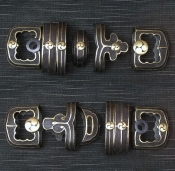 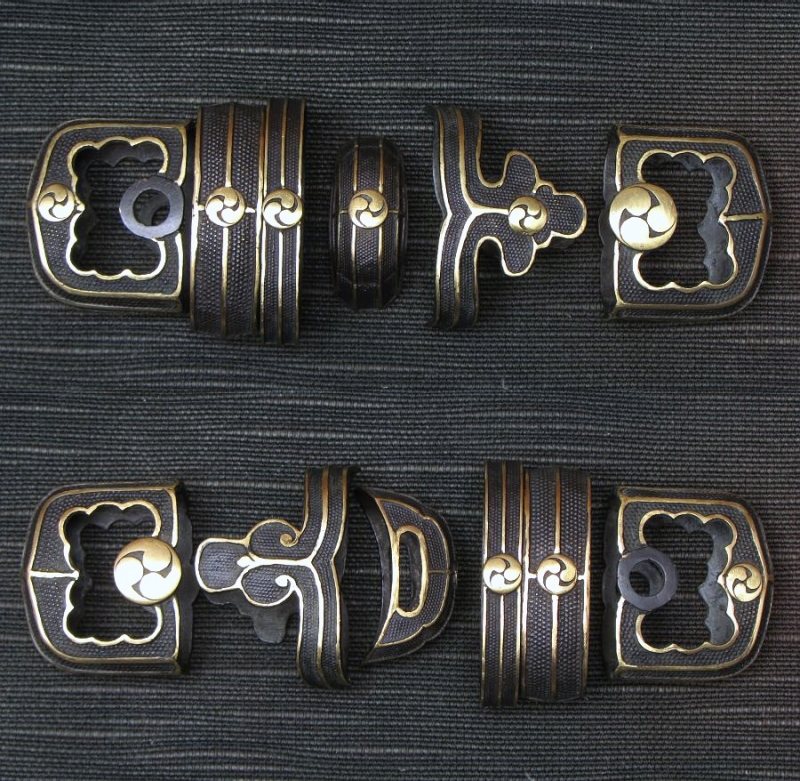 The item is used Gendai production by Japanese craftsmen (See photos for condition).